A wonderful hot and sunny day here on Waternish today for the visit of HRH The Princess Royal to Skyeskyns. Princess Anne was given a tour of the tannery and then met with representatives from the local area including Visit Waternish. 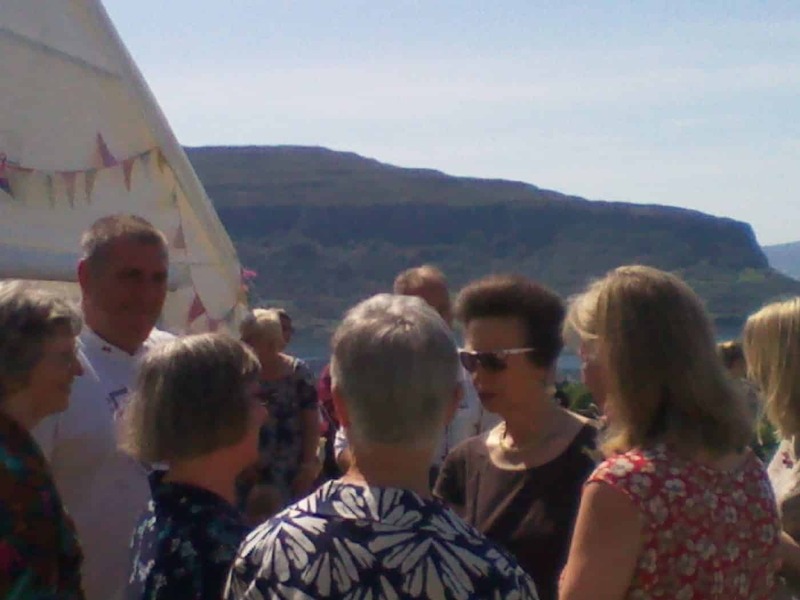 The picture is of Princess Anne meeting with some of the Visit Waternish committee, from left to right, Hazel Wotton of Greenbank; Ian Williams of Brae Fasach Gallery/Cafe; Kathie Ford of Kathie & Steve’s B&B; Judi Hodgkin of The Skye Shilasdair Shop and Teresa McGhie of the Stein Inn. Thanks to Steve Ford for the photograph.